BRP will be visiting 28 popular family boating meccas across the United States this spring and summer offering consumers the chance to experience the boating lifestyle and latest technologically advanced Sea-Doo watercraft and boats through the Sea-Doo Life Test Ride Tour. The Sea-Doo LIFE Test Ride Tour will visit popular boating venues across the US to promote the boating “life.” These festive events are intended to provide both current and potential boaters a structured opportunity to experience the new Sea-Doo watercraft and boat designs and iControl technology first hand. Attendees are offered an on-water experience aboard a variety of Sea-Doo PWC, the only watercraft with a brake and Sea-Doo 210 platform boats*. BRP’s initiative is the biggest direct, manufacturer supported boating demo effort in the marine industry and is targeting to expose the Sea-Doo Life to over 4,000 people during the 28 three-day weekend events. The Sea-Doo Life events will be FREE to the boating public* and are managed by the Sea-Doo events team – comprised of industry and product experts – and partnering, authorized Sea-Doo watercraft and boat dealers. Each Sea-Doo iControl Tour STOP is designed for both experienced and first time boating families to experience the Sea-Doo LIFE in a casual, fun filled atmosphere with fun to be had on land as well as on-water. In my quest to embrace the boating lifestyle and become an official boating family, I decided that we would be proactive and obtain our boater safety cards and start to prepare for the eventual purchase of a new Sea-Doo boat or watercraft. Plus, my 15 and 17-year-old sons are thoroughly enjoying our friends’ new Sea-Doo WAKE 155 watercraft (as often as they can) and I want to ensure that they are aware of the marine environment and are safe, responsible, and aware boaters. 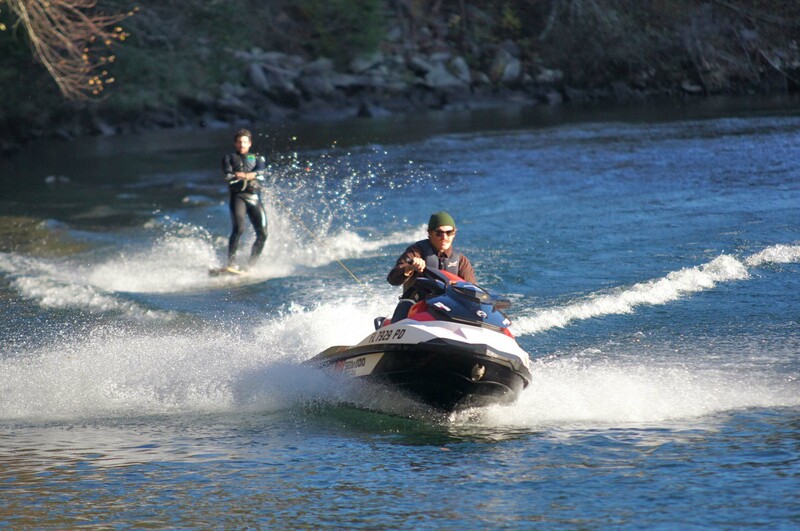 In the state of Florida you can legally ride a Sea-Doo personal watercraft at 14 (check you local laws as every district varies)….something that they regularly remind me when requiring them to take a boater safety course! I don’t know if you remember yourself as a teenager, but I am sure you remember that you knew everything (as they think they do)! As a parent, I will also, eventually, allow them to take the boat out on their own and I want to ensure that they posses the proper skills and boating etiquette and regulations knowledge. 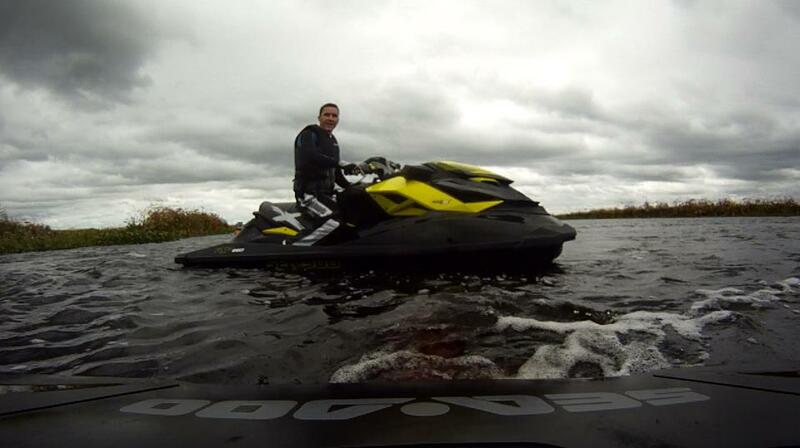 Enjoying my new Sea-Doo RXP-X! ≈ Comments Off on Enjoying my new Sea-Doo RXP-X! After the initial shock of coming home from a long day at work and finding the 2012 Sea-Doo RXP-X in my garage, it didn’t take long before I was heading out on the water to break in the new watercraft. In the short amount of time that I’ve had the new RXP-X, it’s already been on four different Florida Rivers, explored most of Tampa Bay, and been out in the Gulf of Mexico. I was overly anxious to take my first ride so I took Friday off from work, after receiving the RXP-X, and headed east to the St John’s River in Florida. Highwinds, thick clouds, and cold rain weren’t enough to stop me and several others from enjoying the ride. The twisties provided by the winding contour of the SJR make for a perfect location to really test out the turning capabilities of the RXP-X.